This is the sixth Chamelaucium spp. 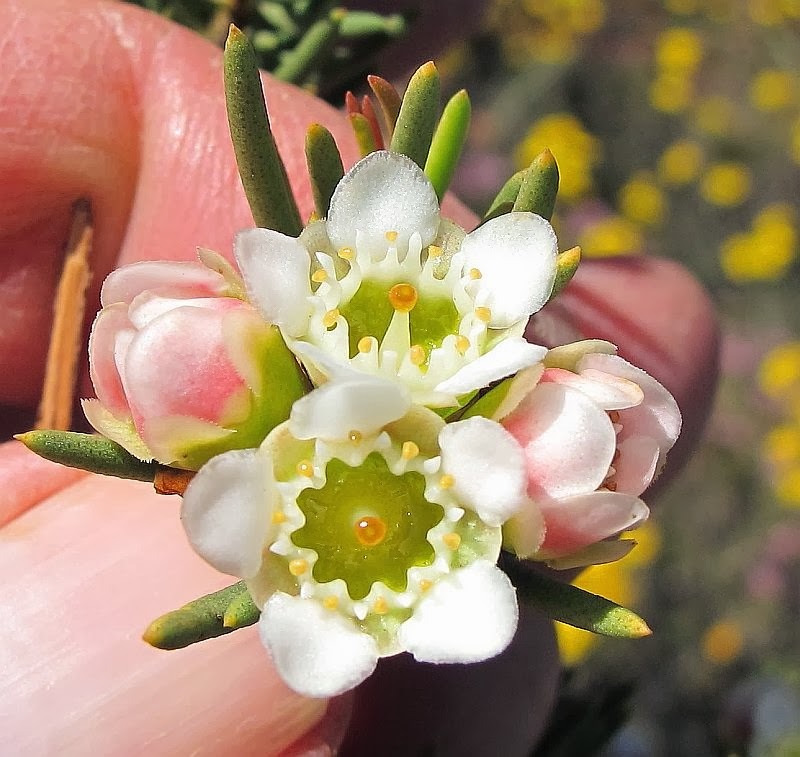 (waxflower) I have encountered in the Esperance district, where this species can be found in mallee heath on exposed gravel/laterite soils (sometimes with a shallow sand covering). 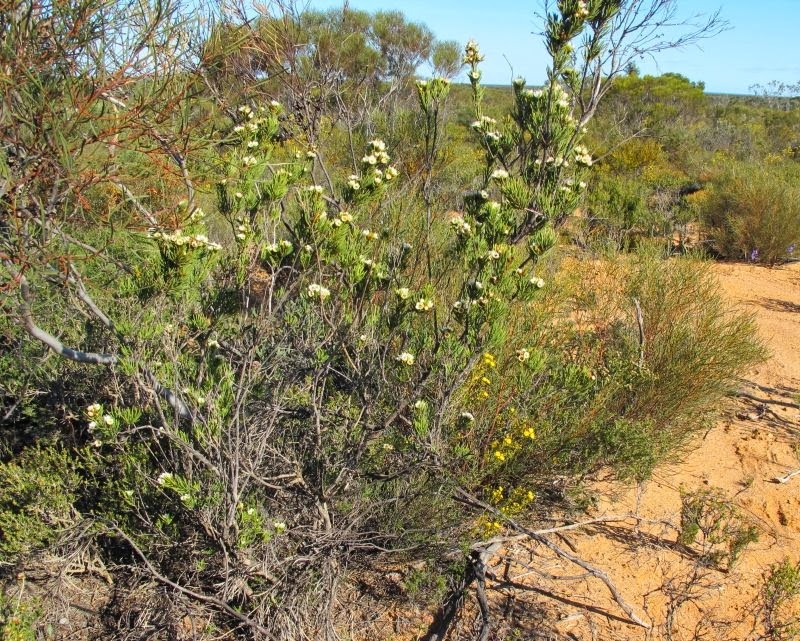 Distribution is largely inland, being recorded from Munglinup (100 km or 62 miles west of Esperance) to the Hyden region, then back down to the Ravensthorpe area. In the Lake Tay region it mostly grows to a little over a metre (4’) in height, but can reach 6’ elsewhere. The growth is upright and generally open, being emphasised by the near vertical foliage. 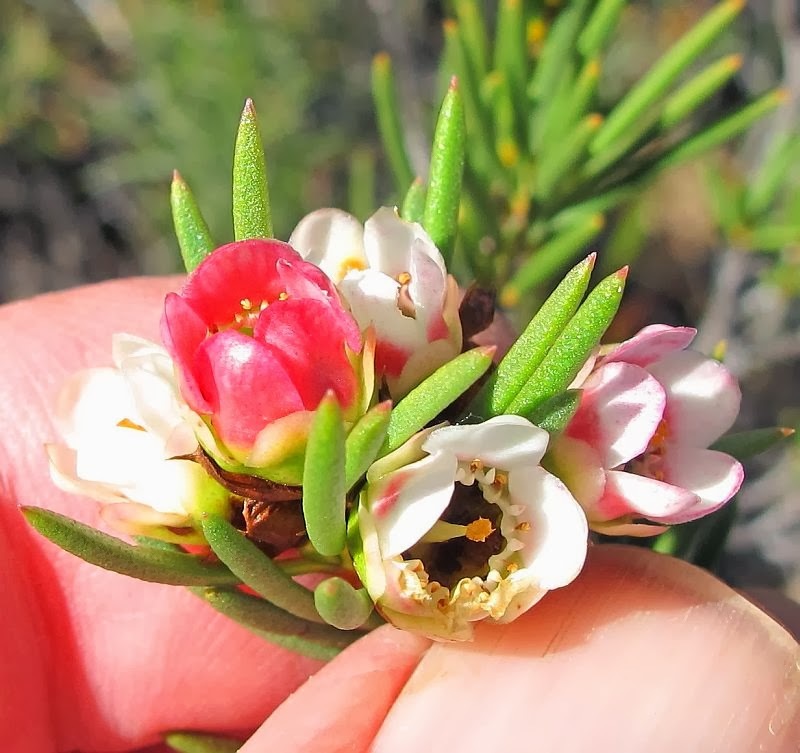 The flowers are commonly white, but include pink to deep red that increase in number as the flowering season progresses. Some flowers are richly coloured from the start, but these can deepen more with age. The terete (rounded in cross-section) leaves are around 2 cm (3/4”) in length and held stiffly upright, making them slightly prickly. 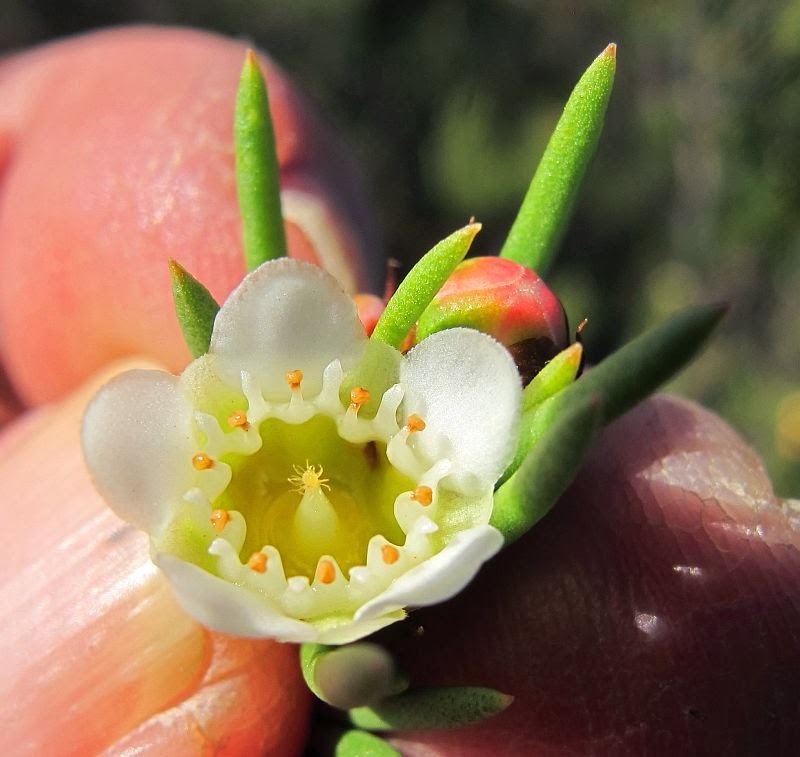 The flowers open to a little over 1 cm (1/2”) diameter to show the alternating staminodes and stamens, which combine to form a neat 10 pointed star. 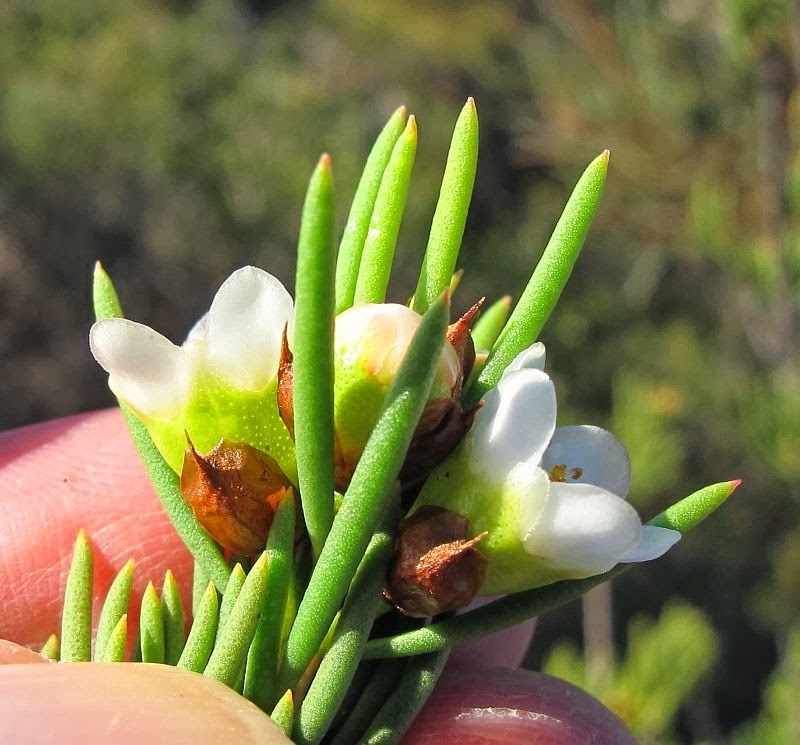 One of the identification features is the small ring of hairs just below the stigma, however mature flowers need to be examined, as when flowers are fresh the hairs can adhere to the stigma . 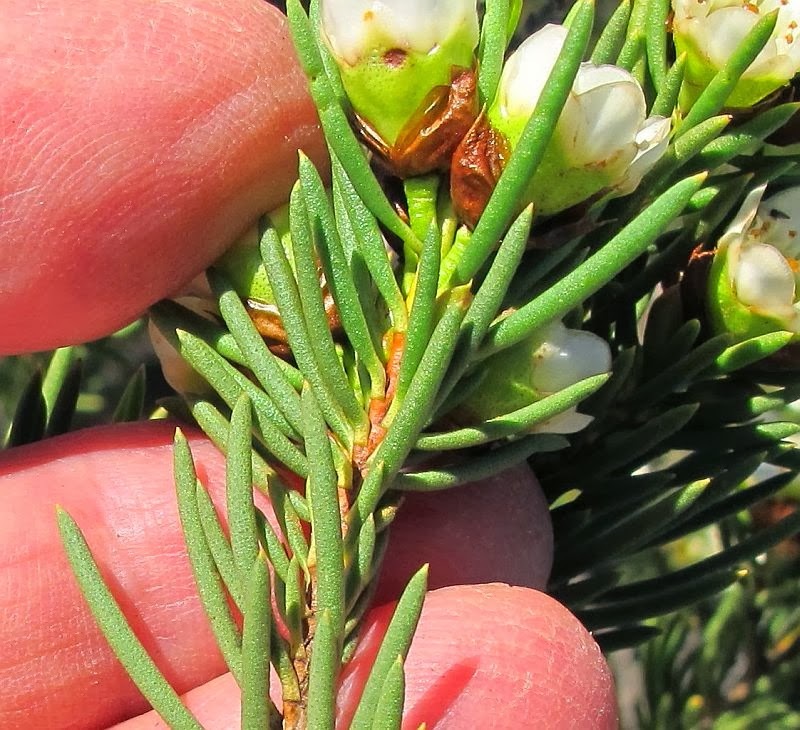 The other important feature is the large persistent brown bracteoles that partly cover the outside of mature flowers (top right), which with most other species are soon deciduous. The only other Chamelaucium this species could be confused with is the Esperance Wax, Chamelaucium axillare, but besides being more graceful, it does not have the large bracteoles surrounding the flowers, as theirs drop before the flowers open. 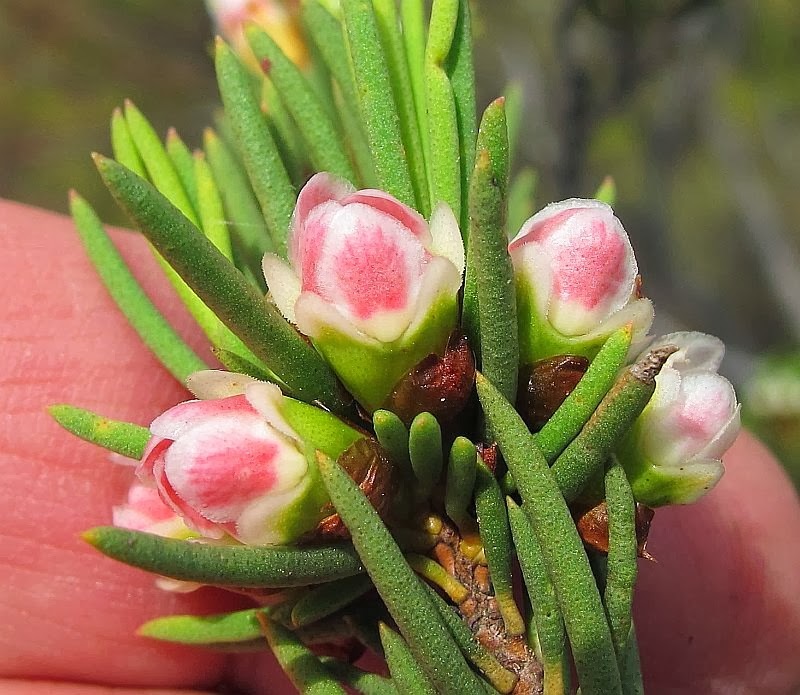 Flowering time is from August to January, although local weather conditions will influence the exact period. 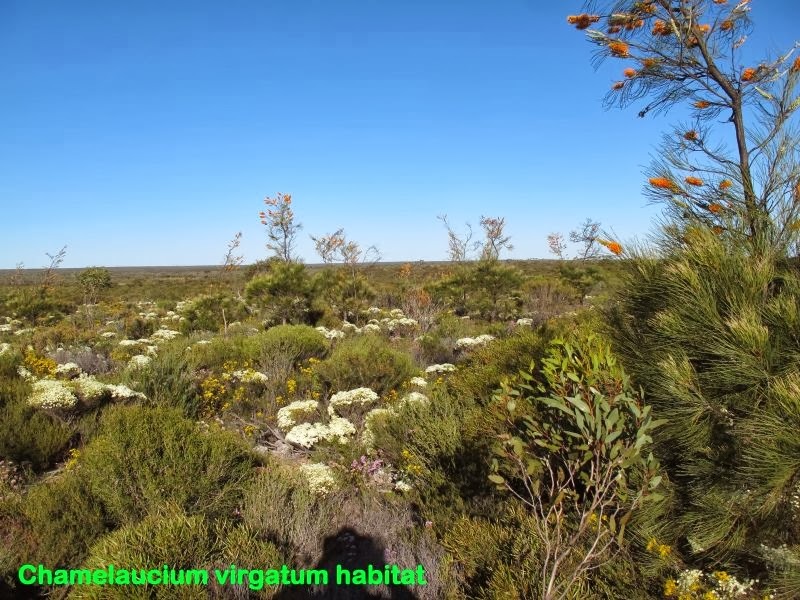 The Chamelaucium genus is part of the large and highly diverse Myrtaceae family.